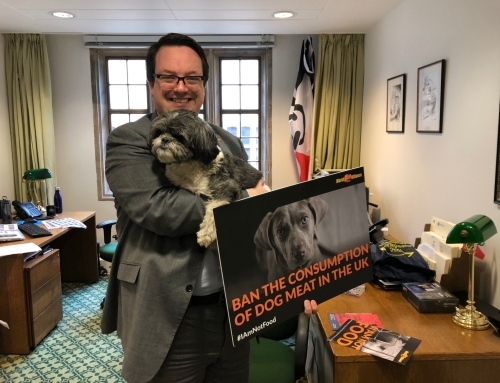 World Dog Alliance met with MP Ulf Leirstein from Progress Party today to discuss the possibility of enacting a dog meat ban in Norway, despite there is no evidence of human consumption on dog meat. Ulf Leirstein has been a MP for 13 years and he has long been a champion in animal welfare. He successfully promoted Animal Police in Norway. 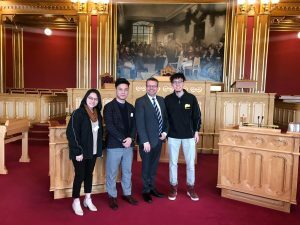 He strongly agrees a dog meat ban is necessary in Norway, in order to demonstrate that the country would help other Asian countries to eradicate dog meat consumption.